The tropical mango flavor will make you feel like you're sitting on the beach, toes in the sand, and cocktail in hand. Add some sun and surf and you've got vacation in your glass. 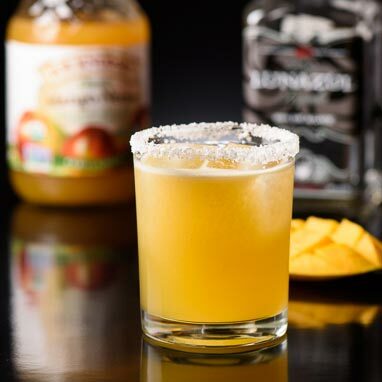 Relax and enjoy this non-blended variation of our Blended Mango Margarita.